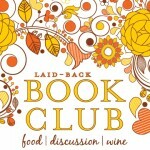 Introducing the Laid-Back Book Club… everyone is welcome (well, everyone with my address). We will start at 7:30 OR 8:00, depending on the time of year. You do not have to come to every meeting, if you don’t want to read the book for the month or were not able to, don’t worry about it and catch up with us next time. If you do come, try to have read at least 75% of the book and don’t get mad when we give away the ending. Everyone bring a question related to the book with them – we will put the questions in a bowl and draw them out to respond to, getting through as many as we are able during our time together. The questions don’t have to be deep, just WHATEVER you want to ask. Feel free to have a hard copy of the book, an electronic copy on your Kindle or iPad, or borrow the book from the library and have already returned it, or listen to an audio version – you do not need to have a copy with you for the discussion. I think that covers it… let me know if you have any questions. 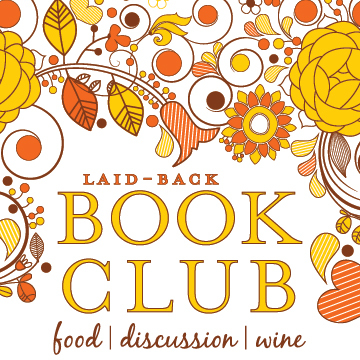 Disclosure statement: The Laid-Back Book Club is completely self-serving on my part, once a month I get to hang out with people I enjoy, eat good food, drink wine and chat about books that I’ve wanted to read – if you want more control, start your own book club. i think i’d like to join!